Spring is right around the corner and with that comes the brighter colors! 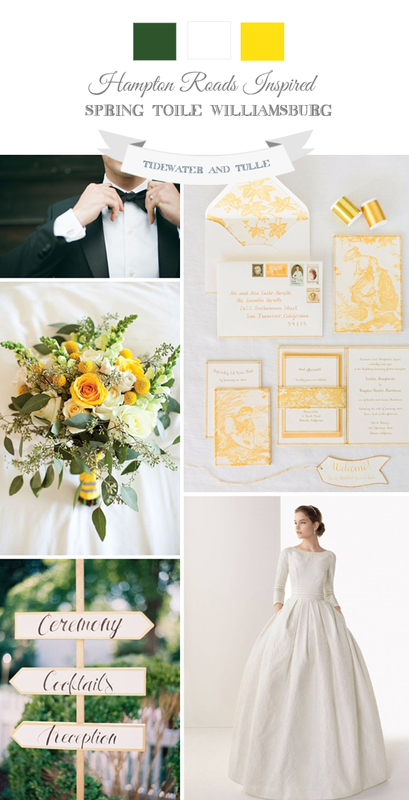 With emerald green and yellow gold, we are channeling the historic town of Williamsburg into this classic spring wedding inspiration. Toile will always have a special place in my heart (hello, old world! ), so when I saw the traditionally blue pattern turned gold, I knew this would be my main spot of inspiration! As our springs can be a little chilly at times as the winter season transitions into warmer days, a long-sleeved wedding gown radiates timeless elegance and practical comfort. Add that with the vibrant greens, and you've got yourself a beautiful outdoor celebration!